I am guessing that John Lannan and Chase Utley will never be BFF’s, but Lannan signing with the Phillies may at least prompt a truce. In 2007, Lannan threw the pitch that broke Utley’s hand, essentially ending his run for the MVP award that year. In 5 plus years in the majors with the Nationals, Lannan has hit Phillies’ batter’s 11 times; 3 of those were directed at Utley. I would venture an educated guess that these two guys do not like each other. Regardless, Lannan is on-board for 1 year and $2.5 million to take the place of Vance Worley, who was traded to the Twins earlier this month. It sounds like a low-risk, high reward situation, as long as Lannan can stop himself from whacking his new teammates with the ball. The temptation may linger until he gets used to his new location. As for Mike Adams, this sounded like a good signing until I heard the terms. We will get to that in a moment. Adams is a very solid relief pitcher who has a lifetime 2.28 ERA over 8 seasons. However, he is 34 years old and coming off a surgery for thoracic outlet syndrome, a condition in which a rib bone presses against a nerve, causing pain and numbness in the arm. Does this sound like a guy you would sign to TWO years and $12 million? Not so much. And yet, that is what the Phillies are giving him. While this is not fully in the range of a Freddy Garcia-type disaster (whom the Phillies gave $10 million to in 2007 to do basically nothing), the potential is similar. If Adams does not recover from surgery or comes back as a lesser pitcher, this deal is a huge bust. But the Phillies are once again rolling the dice and praying for the best case scenario. Let us hope they come out on the winning end this time. 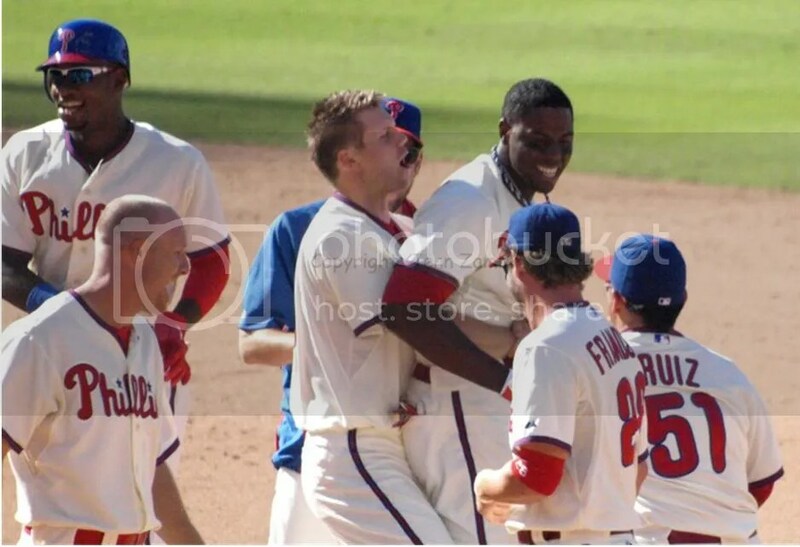 By the way, if you missed my 2012 Phillies Photo Tribute slideshow, here it is again for your entertainment. Enjoy! Right-handed pitcher Vance Worley was actually standing in Citizens Bank Park when he got the news that he was being shipped to Minnesota. He was as shocked as the rest of us that his time in Philadelphia was at an end. Sadly, the Vanimal is gone. Phillies’ top pitching prospect Trevor May will join him there as well. In return, the Phillies got a young centerfielder. Ben Revere, 24, hit .294 last year for the Twins with a .333 on-base percentage. He also had 40 stolen bases and is being touted as a young Juan Pierre with excellent range in the outfield. The downsides include his lack of power, minimal walks and below-average arm. But he is under team control and therefore, very cheap. It seems Revere’s skill set could make him the new lead-off hitter; he has speed and gets on base. 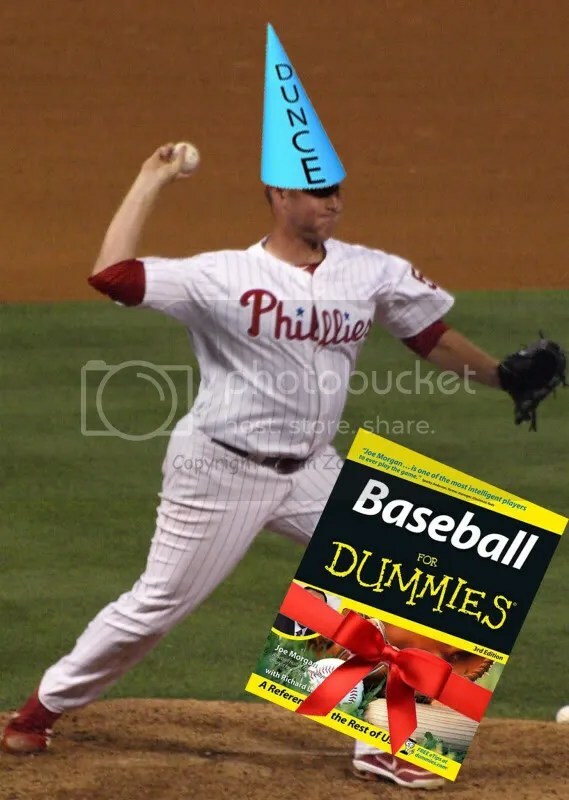 While it is very sad to say bye-bye to the Vanimal and to May, this trade may pay dividends for the Phillies if they can use the money they are saving towards a bullpen piece or another outfielder. Revere should fit in well in Philly. In fact, his name alone is a combination of two historical figures with Philadelphia ties: Ben Franklin and Paul Revere. I suppose then, it was fate that brought him here. UPDATE: Just a few quick notes on the Ben Franklin and Paul Revere comments above. It seems we have some badly educated, wanna-be historians in the Twittersphere who question my references to the historical links of these figures in Philadelphia. First, Revere was born in Boston and made several rides to visit the Continental Congress in Philly to report on the impending revolution. Then, during the war in 1775, Revere was sent to Philadelphia to study the only powder mill in the colonies so that northern colonies could learn how to produce more gun powder. So yes, Revere does have ties to Philly. Look it up. 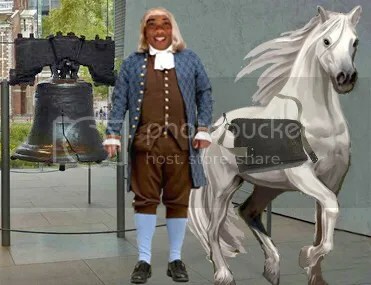 Even more shocking was someone questioning Ben Franklin’s relation to Philadelphia. No, he was not born there, but he lived there most of his life (around 67 years), died and was buried in Philly. Oh, and he signed that little document called the United States Constitution in Philadelphia. Anyone questioning that should be ashamed. Here is my annual Phillies Photo Slideshow! The slideshow includes all original photos that I took during the 2012 season; it includes players, coaches, fans, the Phanatic, and more. Enjoy! 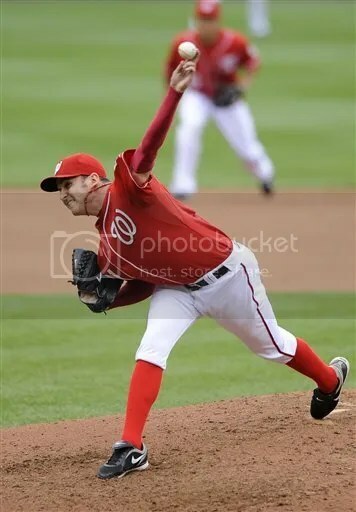 A very excited and nervous Tyler Cloyd took the mound for the Phillies last night. His major league debut would eventually end in a 3-2 loss to the Mets, but the rookie was still happy just to be there. Cloyd allowed 3 runs in his debut over 6 innings and walked 2 batters. Much of his early struggle appeared to be nerves. But once he settled down, Cloyd looked pretty good, despite his lower than average fastball. His location was good and his breaking pitches had some nice, late movement on them. The bad news is, the Phillies have now dropped 2 games in a row to the lowly Mets. Depressing. There was some other near earth-shattering news yesterday as well. Chase Utley began taking ground balls at 3rd base and later told the media that he asked GM Ruben Amaro Jr. if he could give 3rd base a try. Amaro figured, why not? 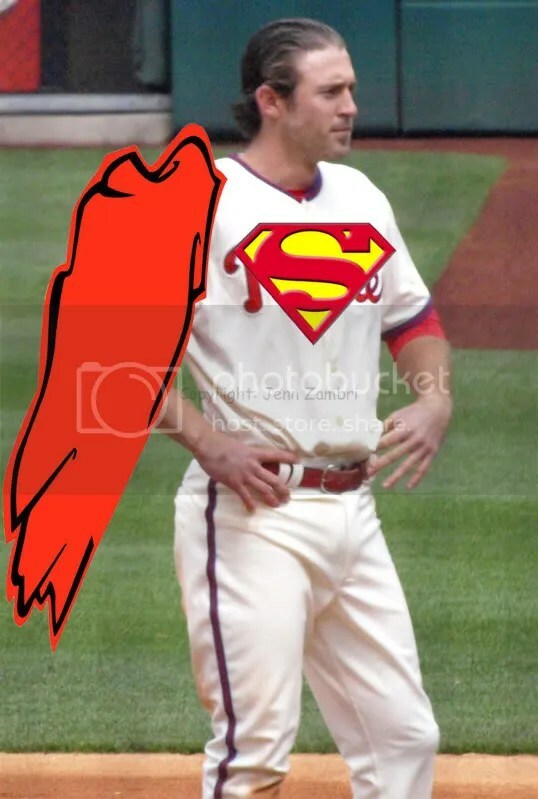 Utley is apparently trying to help the team solve the current 3rd base issue. With Placido Polanco constantly having back issues and likely not returning next year, the Phillies need a 3rd baseman. They seem to view Kevin Fransden as a utility guy, although he has played very well at the hot corner. This brings up many questions. Would 3rd base be less taxing on Utley’s knees? I doubt it. Does he have the arm strength for the position? Maybe, maybe not. Couldn’t the Phillies try Freddy Galvis there? He adjusted well going from short to 2nd, so maybe 3rd is not a huge leap. It is nice to see Utley offering to take on something new for the better of the team. Whether or not that is a realistic option remains to be seen. In the meantime, the Phillies have to try not to get swept by the Mets this afternoon. Game time is 1:05pm. The Mets took Phillies rookie B.J. Rosenberg to school last night as they roughed him up for 4 runs in the 10th inning. The Mets went on to win and Rosenberg went back to the clubhouse sporting a 12.66 ERA. Ok, I am picking on the poor kid, I know. He is still learning. But in the meantime, it is frustrating to see a kid with a 95mph fastball tossing it right over the middle of the plate when he knows better. Vance Worley had a lot of trouble too, allowing 4 runs in only 4 1/3 innings. Why is Worley still pitching? He has bone chips in his elbow and needs surgery. Why not shut him down and get him healthy for next year. Because he is not helping the team right now. Worley says the elbow is not the issue, but can that really be true? Anyone who has ever had an injury of any kind knows that if you play through it, you will inevitably compensate for that injury in some way. If my right knee hurts, I lean more on my left knee, even though I know in a week or so my left knee is going to hurt as a result. The only other option is not walking, which is not really a realistic option. But it is worse with pitchers because when they compensate, they develop bad habits which can lead to new injuries like shoulder soreness. So despite the Phillies starting this game with a Grand Slam from Ryan Howard and later, a home run from Chase Utley, they lost it 9-5 in 10 innings. Now who will be the Mets next victim? That’s right…another rookie fresh out of Triple-A. Because Cole Hamels has a tummy ache (officially a “gastrointestinal illness”), Tyler Cloyd will make his major league debut tonight at 7:05pm. Cloyd, named the International League’s best pitcher of the year, had a 12-1 record with a 2.35 ERA in Triple-A this year and a 1.80 ERA in Double-A over 4 games. Despite all the hype, many “experts” say Cloyd does not have major-league stuff. Well, we will find out tonight I suppose…best of luck to the kid!